Good morning! 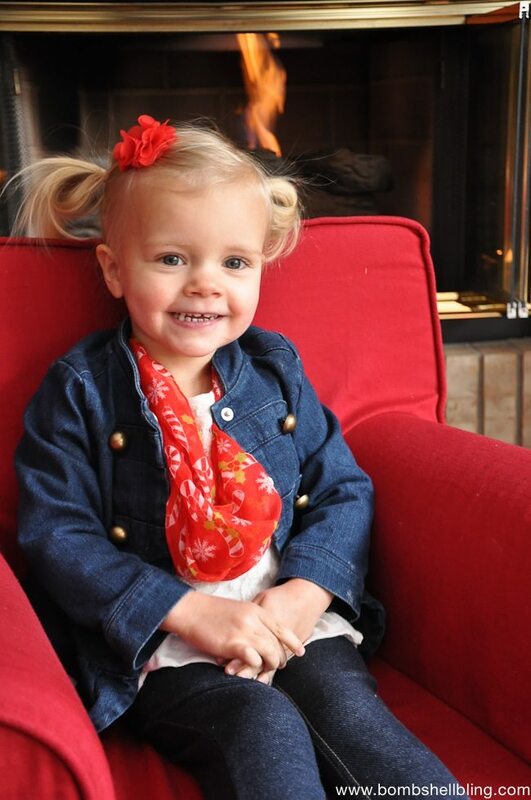 First things first, how cute is this little girl of mine? I am SOO smitten with her! Anyway, back to today’s post. 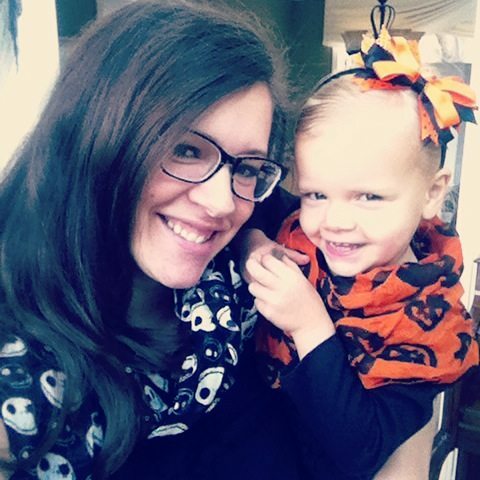 I am here to share with you my toddler infinity scarf tutorial. Last year I was in Walmart and saw a cute black polka dot scarf. Much to my delight, it was only $3.97. However, when I picked it up I realized why. It was wimpy. Wimpy, wimpy, wimpy. Personally, I like a big, billowy scarf around my neck. If it’s not making a statement and it’s not keeping me warm with lots of fabric then why am I wearing it? I was disappointed for a moment, but then it occurred to me that at the price of $3.97 it couldn’t hurt to buy it and try to adapt it into a scarf for my toddler. If it didn’t work or she refused to wear it I would only be out four bucks. I made a special trip to Dollar Tree last week in hopes that they would have tiny Christmas scarves, and I was delighted to find three different options. 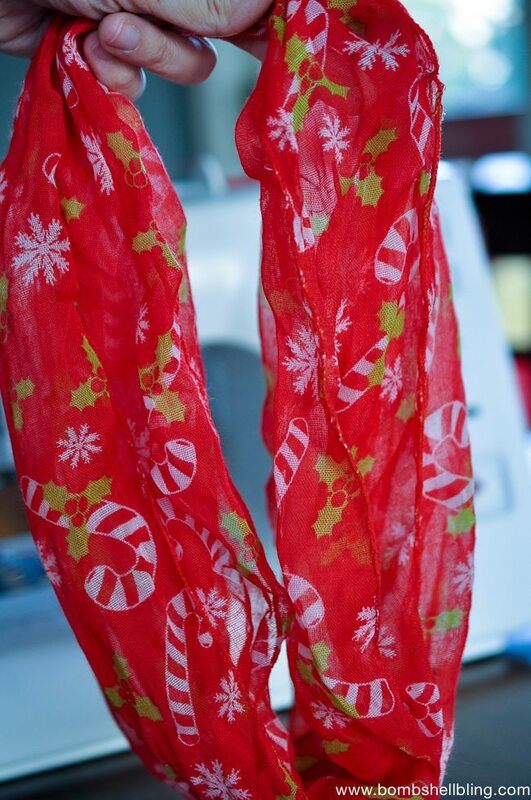 This candy cane scarf was my favorite. The Walmart scarves have to have quite a bit of length cut off, but these guys really don’t. However, I still go to the trouble of making them infinity scarves because they stay on so much better than regular scarves since the ends aren’t hanging down and tempting her to play with them and pull on them all day long. 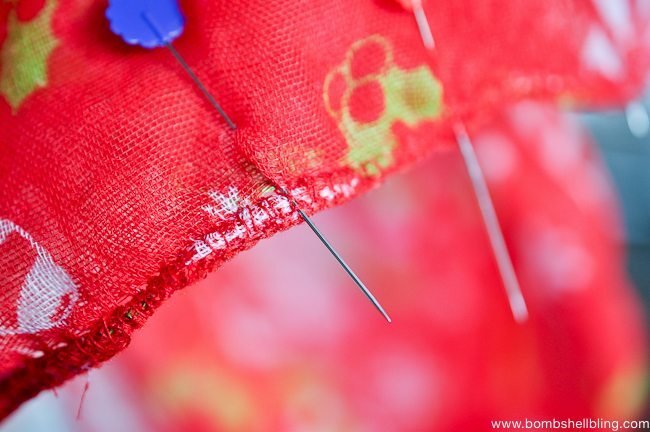 If you have a serger then you can serge the ends together. 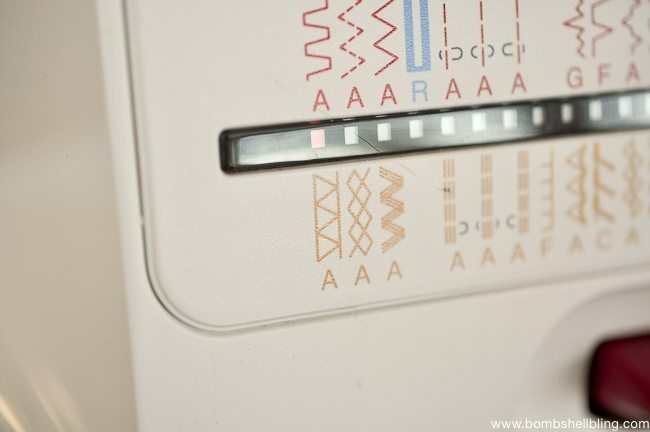 I do not have a serger, but my sewing machine has a setting that is similar to a serger. 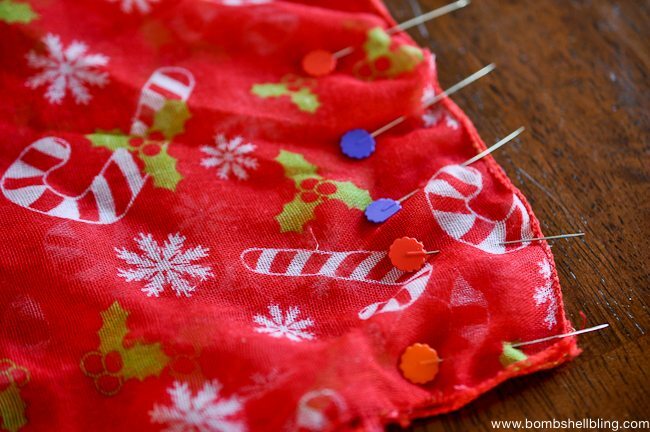 You can always use a zig zag stitch as well. 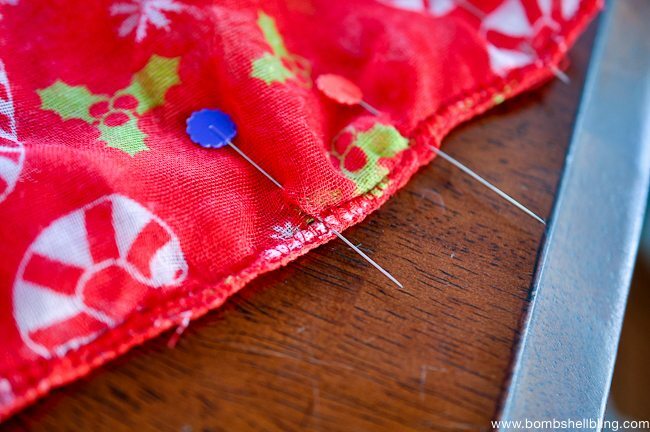 Carefully sew the two sides together RIGHT along the edge. I often go back and do a second pass just next to the original one (second pass not pictured). You are all done! 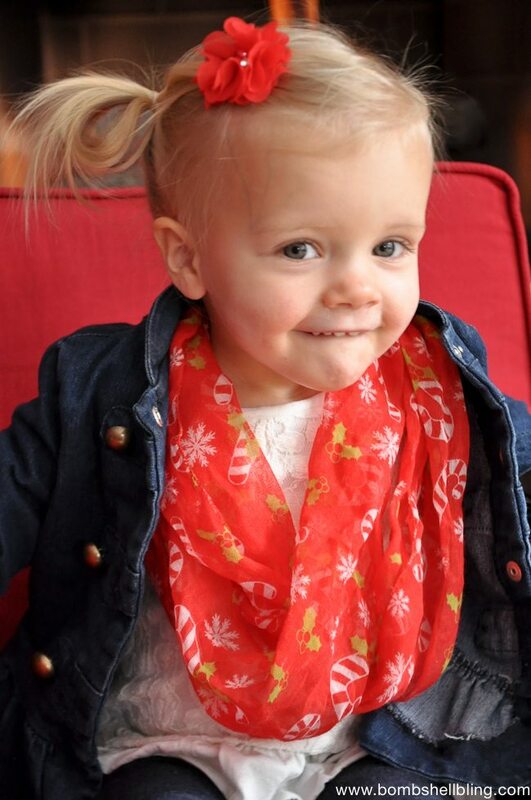 So simple, and now you have a super cute holiday infinity scarf for your little lady! 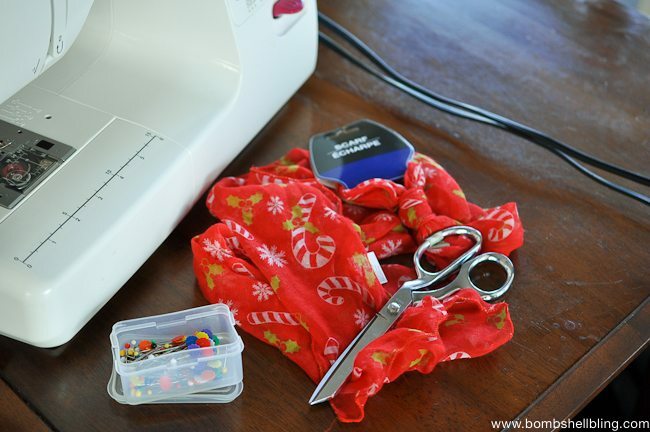 You could also use this method to make any adult scarves into infinity scarves. 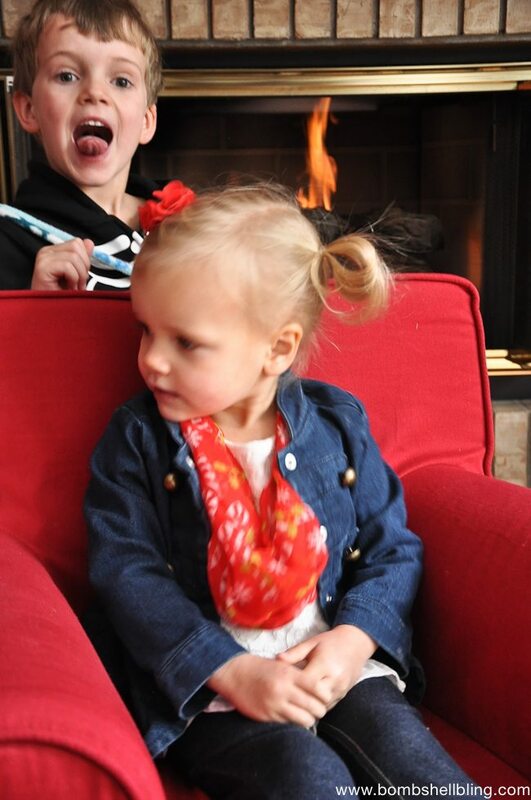 We had fun with the photo shoot. 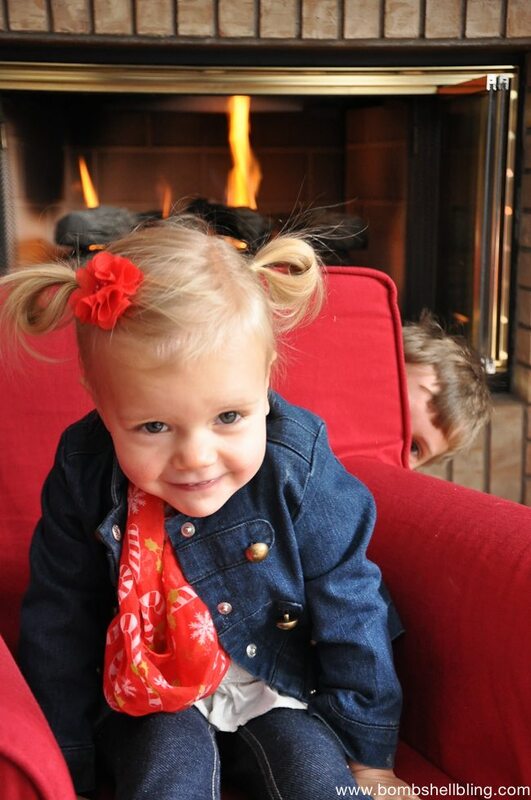 Well, at least her photobombing creeper of a brother did. Heehee. 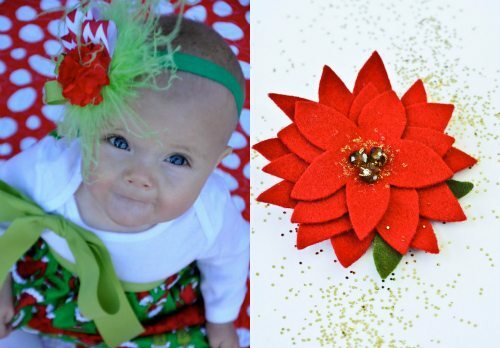 If you liked this tutorial then you may also like my Grinch Headband and Ruffle Dress tutorial or my Felt Poinsettia hair accessory tutorial, both shown below. Have a Christmas WONDERFUL day! No, just one who loves to be “fancy.” 😉 Regular scarves she just tugs on, but infinity scarves don’t dangle, so she seems to forget about them after a little while.